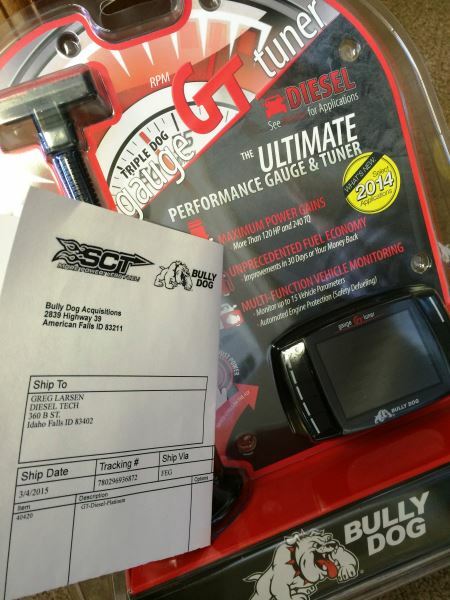 Bully Dog has released custom tune files capabilities to their GT Platinum series programmers, and, we’re excited to add Bully Dog’s New Custom Tunes to Diesel Techmagazine’s newest build truck, Project LBZ. With the release of the new custom tunes, Bully Dog customers can continue to modify their vehicle and rely on one programmer to meet their ever growing needs. Bully Dog has also released pre-loaded support for 2015 Dodge Cummins, Chevy Duramax and Ford Power Stroke diesels. “Using the GT Platinum Diesel device you can now unlock the true potential of your 2015 – 6.7L Cummins, 6.6L Duramax and 6.7L Power Stroke,” said Tim Roi, marketing director for the Derive Power brands – Bully Dog and SCT Performance. “It is our mission to keep delivering new applications and this is just a sample of what’s to come,” he continued. 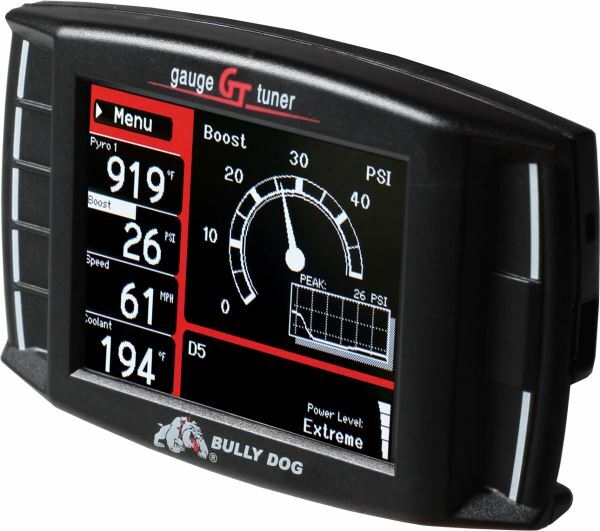 The Bully Dog GT Platinum Diesel 2015 applications offer the popular benefits diesel owners demand—switch-on-the-fly power adjustments, download functions, tune safety protection—defueling, monitoring via virtual gauges and more! “Diesel runs deep within our company and we share our customer’s passion for trucks, so adding the latest model year support is our number one goal,” added Roi.